The protagonist of any book is whom the readers root for. Creating this protagonist can be a mammoth task. 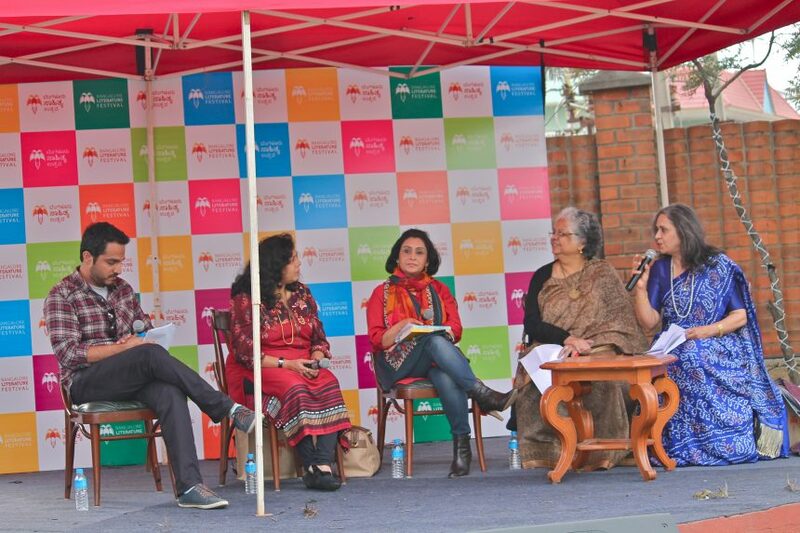 This writers’ panel discussion moderated by Manju Jaidka revolved around this while talking about the panelists’ own experience in creating protagonists. Haroon Khalid answered this in light of his new book about Guru Nanak. This book is a perspective on Guru Nanak as an ordinary man rather than a great holy man. He explained his journey of taking a larger-than-life character and turning him into a real life character. “Here you had a historical character and all the stories were mythical, but I want to reduce him to real life to see what he really was. So my method was to read his poetry. Your writing is a reflection of who they are,” said Khalid. Reading Guru Nanak’s poetry gave Khalid insight into the Guru’s mind and helped him build the character. Manjiri Prabhu told the audience that she never creates characters, the characters just come to her life. Sonia Samantha is the protagonist of her astro-detective series, and she came to the writer in something of a vision. “I saw Sonia, it was like a vision. All I did was put her in a plot that was convenient for me and to her. I grew with her. Her entire journey, I lived with her. It was a discovery process for me too,” she said. Mona Varma was eloquent in her description of creating a protagonist. As a story writer, she felt that a protagonist is someone who shouldn’t be able to leave your think space. There should always be a motivation for the character to be there in the story, so that the reader can relate. She also spoke of how history helped carve out protagonists. She also shared why internal conflict matters. “When we are shaping a protagonist we must understand we are making people. We are deeply flawed, hence relatable. We are shaping them on basis of larger motivation of story that follows. It could be deeply conflicted,” she said. Last but not the least, Poile Sengupta spoke about her journey of creating the character, Inga. “All of us [sitting here] are actually illusionists. We are creating illusions. The paradox of fiction is that these illusions also carry the truth,” she said. Toeing the line between illusion and truth, she told us her battle with muscular degeneration, a loss of vision in one of her eyes. Though it was a difficult part of her life, she didn’t let it overpower her. “I didn’t let it seep into my writing, it’s something I’m proud of,” she said. Creating a protagonist will always be coloured by the experience of the writer. Each panelist brought out the mixture of emotions tied to the task of building a character from scratch.